Z Groove provides lateral stability and mud traction. Stone ejectors aid in tread protection, stone rejection and mud clearing. Deep center sipes help resist hydroplaning and increases traction in wet conditions. 3D tapered grooves add additional biting edges for off-road performance. 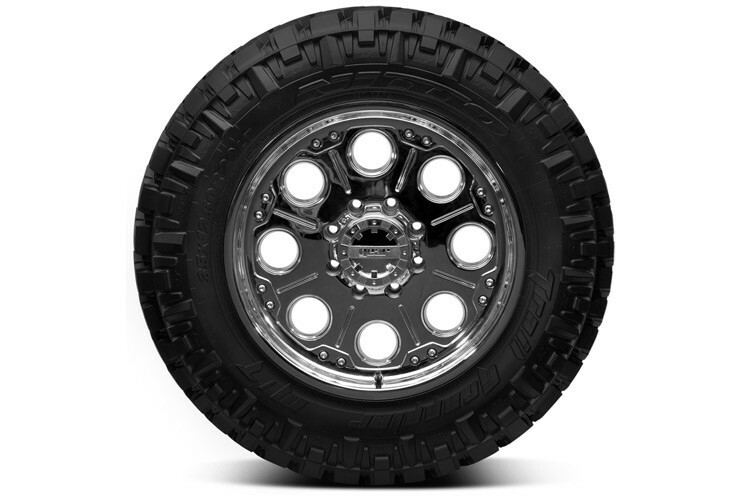 The balanced void ratio efficiently removes mud and dirt from the tread to provide continuous off-road traction. Reinforced shoulder grooves add additional off-road and all-season performance without comprimising block stiffness. The 3-ply sidewall with a high turn-up construction acts as an extra layer of reinforcement to increase puncture resistance. 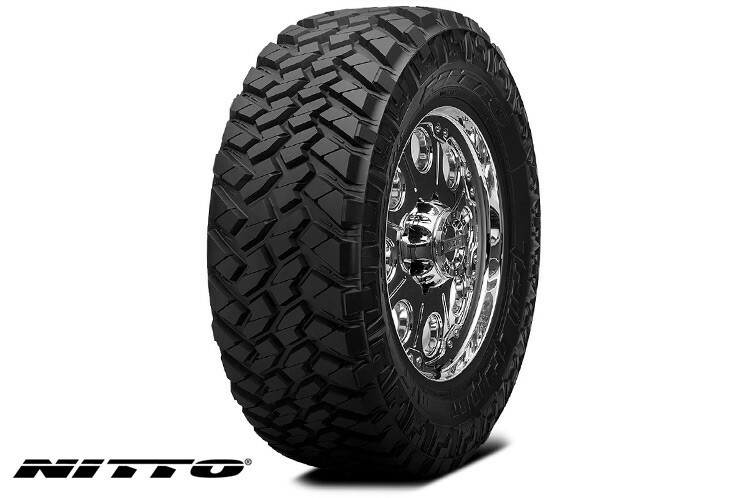 Nitto’s proprietary, automated manufacturing system produces extraordinarily uniform tires. This creates a smooth ride on paved roads. 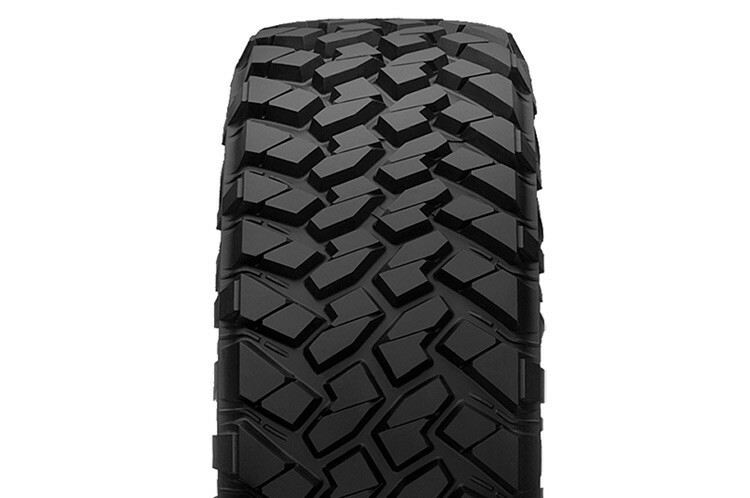 Each Trail Grappler M/T has two sidewall designs so you can pick which one faces the road. One side has stylized lettering with V-shaped buttresses and the other has traditional lettering with flat buttresses. Not available for shipment to Canada! LT tires with a "C" load range have a 6-ply rating. LT tires with a "D" load range have an 8-ply rating. LT tires with an "E" load range have a 10-ply rating.